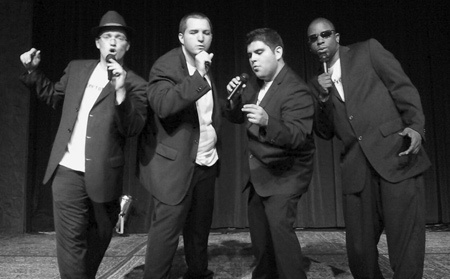 HouseBlend is an a cappella male quartet performing its own pop, jazz, seasonal, folk, country, gospel and other assorted musical genres. 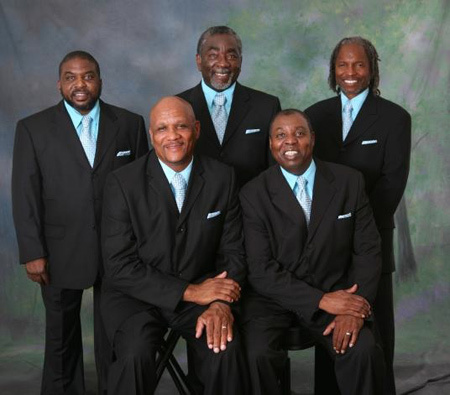 The members of the group met through the music ministry at Concord United Methodist Church. As they sang together, they realized something special was developing. In 1998, HouseBlend was born. Almost immediately, they were in demand to sing at various occasions in the area. Their repertoire expanded with each performance, their style emerged and their sleek presentation unfolded. 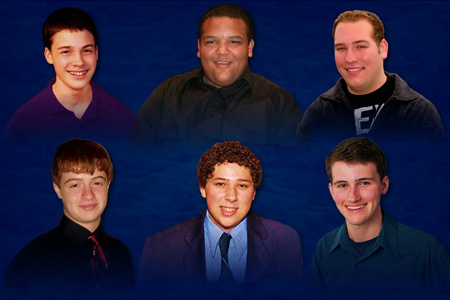 Continuum is comprised of the oldest and most experienced young men in the Pacific Boychoir Academy. 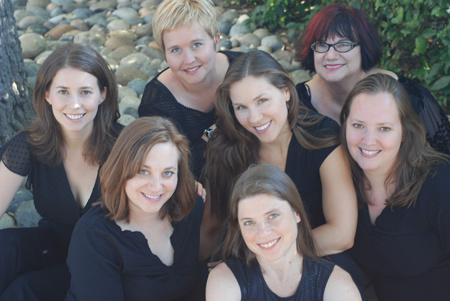 Continuum primarily performs a capella music, ranging from sacred pieces to arrangements of modern pop songs. This season, Continuum sports 9 members and will tour Russia, Latvia, Estonia, and Lithuania with other parts of the Choir. Members of Gimme 5! originally met in their younger adulthood in a doowop class. 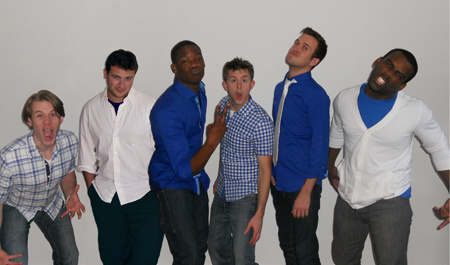 They each went on to perform in various Sacramento based a cappella groups. 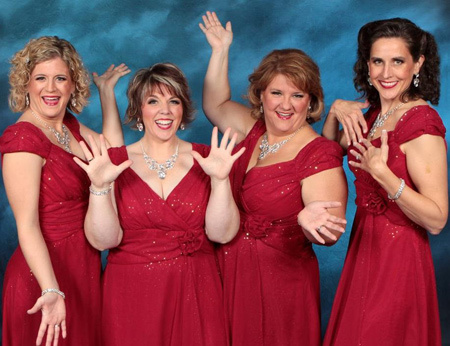 Four years ago, a member or two of the quintets, TuTone Shoes, Cherry Fizz, Shades of Blue and Sneakers, came together to form the group, Gimme 5!, sharing a love of vocal and unaccompanied harmony. Musical selections span several decades (8) and musical styles range from big band, show tunes and swing to pop, doowop and soft rock. Most recent performances include the holiday program at the State Capitol, Blue Diamond Headquarters and the Naked Lounge Coffee & Tea House (fully clothed). 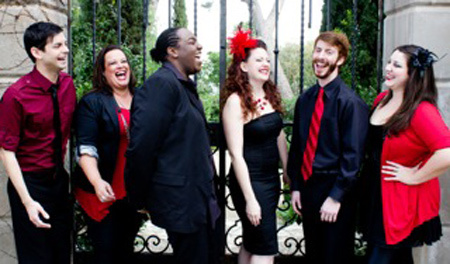 Totally Tapioca is a four-part a cappella vocal group from Sacramento. The group members share a common love for song and a commitment to assisting our community and world through fund-raising events. Every penny that Totally Tapioca collects is donated directly to carefully-selected charitable organizations, and we rely on the enthusiasm of our fans for our music and on their generosity to support these efforts. In their Best of Sacramento 2008 awards, Sacramento Magazine named Totally Tapioca "Best Group for Pudding Charity First." They called Totally Tapioca's mission "totally selfless," and applauded the group's efforts of "singing to make the world a better place." Way back in October of 2011, in between labs, research papers, mid-terms, and SAT’s, these talented singers, high school students from the Branson School in Ross, California, formed “Unaccompanied Minors”. 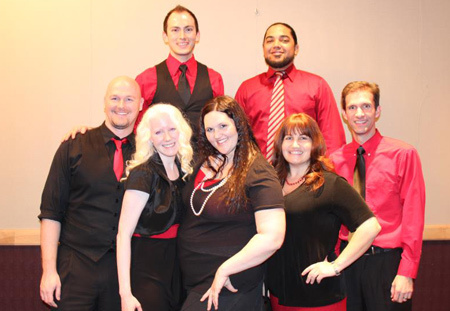 The members of the sextet, in various combinations, have been singing with each other in school musicals, choirs, choruses, rock bands, and a cappella groups over the past few years. 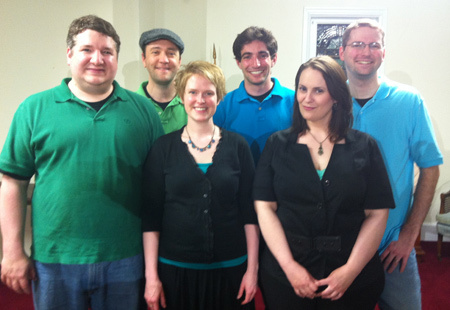 The Connotations have been singing together in and around Northampton since 2008. Though original members have moved on and new members join to fill our harmonies, we have always stood by our one and only creed: Singing while having fun with friends makes the harmonies that much sweeter. The Connotations have had the honor of singing at multiple benefits, town fairs, hospitals, and festivals in Western Mass. A usual performance could include motown, pop, spirituals, and anything in between...but it will always include our desire to let people in on our secret: the only reason we have day jobs is because no one has signed us yet. 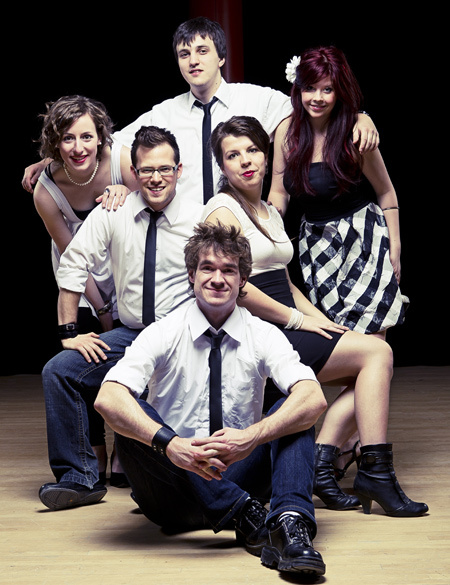 The Rainbows is a group from Quebec City started in 2007, comprised of six professional signers. The six voices brought together forms en explosive sound full of rich harmonies. 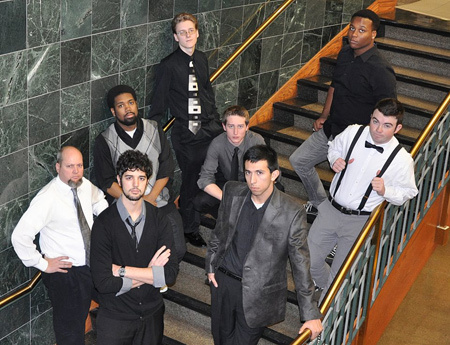 They take their inspiration from Jazz, Pop music and always surprise their public with original arrangements that come to life after several jam sessions. Why are they called ''The Rainbows''? We'll let you figure it out. 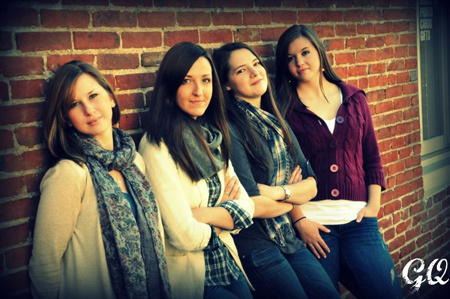 Meet Hannah, Angela, Courtney, Jo, and Mel - together they are Musae; America's top Female Vocal Band. 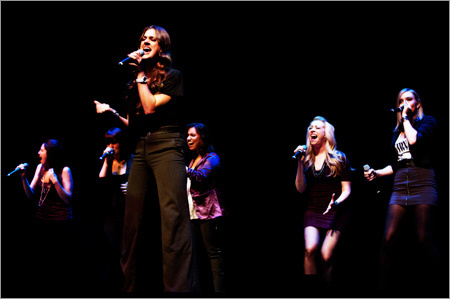 Since 2011, members of Musae have made television appearances on NBC's The Sing-Off, MTV's MADE, and ICCA Finals. Musae has headlined some of the most prominent music festivals both in the U.S. and abroad. Members have also written, engineered and produced chart topping tracks for artists around the globe. Alongside their world-class performances, they seek to reach out to and educate young artists and performers through their inspiring, industry-leading workshops. 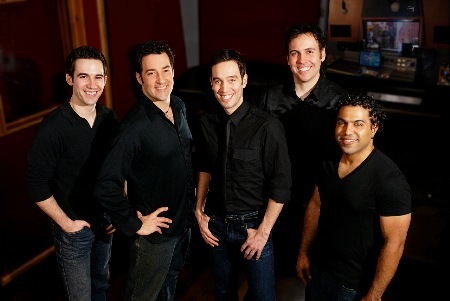 East Coast Acappella, a performance oriented vocal group for all occasions, brings to their audience a unique blend of 5 part harmonies, presenting only the best in 50s, 60s Doo Wop Rock & Roll and beyond - including some of your favorite songs from the 70's, 80's, 90's. The group tailors itself to each individual performance, whether it be a concert, wedding, corporate function, charitable event, or dinner theatre. Together, these five talented personalities bring to each audience an entertainment experience you are sure to remember. They have performed at venues ranging from Mohegan Sun, Cape Cod Melody Tent, Bayside Expo Center, Faneuil Hall, Marquis Theatre, Plymouth Memorial Hall, and the Plymouth Thanksgiving Day Parade. NoteAbles is a group of teenagers from various high schools throughout Northeast Ohio, began singing together eight years ago and are still current members of the world-renowned mixed youth chorus, The Singing Angels, but have formed The NoteAbles to arrange and perform a capella music on their own. 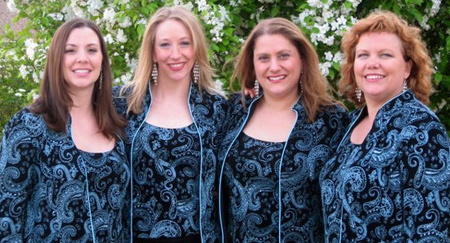 During their years with the Singing Angels, they have traveled nationally and internationally including tours of the Mediterranean, Scandanavia, Russia and China, and have performed before Pope Benedict XVI and President George Bush. 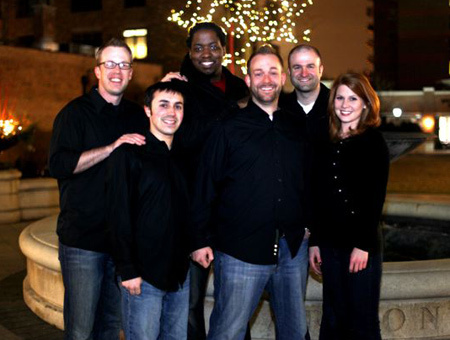 The NoteAbles arrange and perform their music independently and are known for their smooth sounds and tight harmonies. 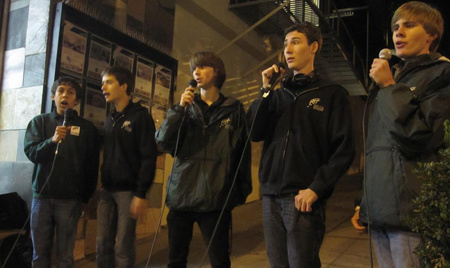 Soulstice is Cheverus High School from Portland, Maine's award winning a cappella vocal jazz group. In just their second year of existence they have already won one Maine State championship in jazz choir and in March of this year, placed 2nd at the Berklee College of Music jazz festival. In January they were selected as one of the few high school groups to perform at the Jazz Education Network convention in Louisville, Kentucky. 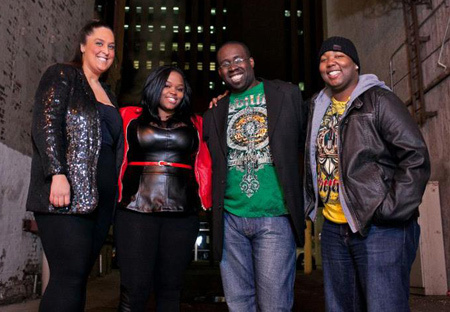 The group is directed by Chris Humphrey, formerly a member of the Boston-based vocal jazz group The Ritz. The group has performed at the Maine Red Claws (NBA D league team) and at The Press Room in Portsmouth, NH. They will record their first CD this spring. We are Threadbare, a voices only band. After a couple of years of life out in the "real world", we wanted to go back to our roots- we all sang together in college and built a special bond there. We have come together again with one purpose- to make music that will connect your head, your heart, and your soul. 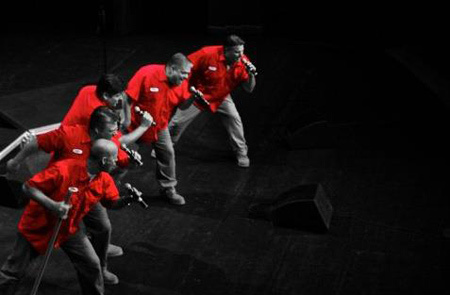 Once upon a time, one of the greatest acappella groups in the Midwest was a buzz in the ears of Milford, MI. From 1998 - 2010, elmoTHUMM wowed audiences with their aggressive sound, rich arrangements, and boundless energy. They won countless contests, accepted awards, played for Presidents and royalty, filled TV screens, and worked their way into the hearts of kids and parents throughout the country. Now THUMMp, they look forward to bringing Chicago more great music as only THUMMp can. Hi-Fi Since last spring of 2011 when they formed with the goal of creating "high quality sound", Hi-Fi has been building up a following in their home base of the Chicago metro area. 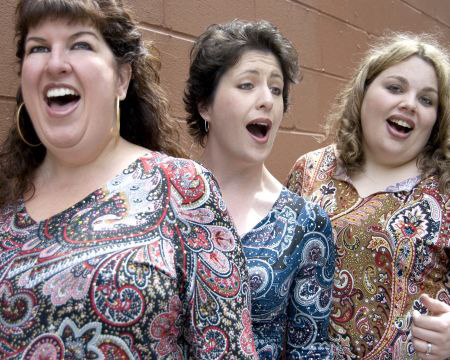 All four members are veterans of the womens barbershop quartet style. Maureen and Debra have known each other since high school. 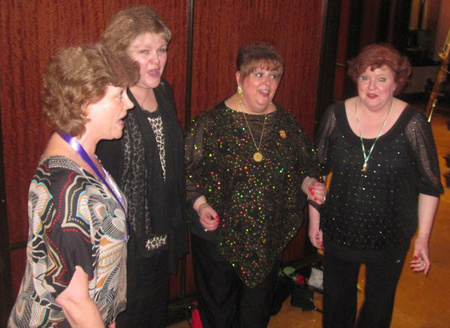 They sang together for many years in "Melo-Edge" quartet which won the Sweet Adelines International Quartet Championship in 1983. The group travelled extensively, produced many recordings and made appearances on TV including the "Phil Donahue Show". 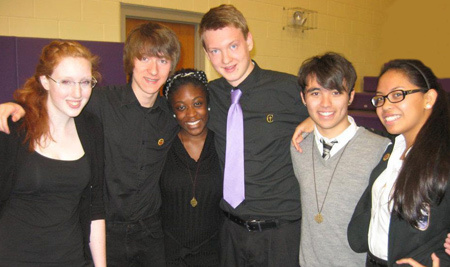 Helen sang in the very first couple of Chicago Harmony Sweeps Regionals with a quartet named "The Tonight Show". More recently she and Dawn made it to the Top 10 International Quartet finals with "Jukebox" quartet. Helen and Debra are music directors of the Spring Valley (Schaumburg) and Edge O' Town (northside Chicago) choruses, respectively. 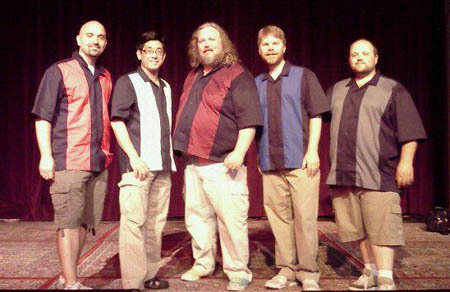 All four members of Hi-Fi have won chorus international gold medals with the Northbrook-based Melodeers. 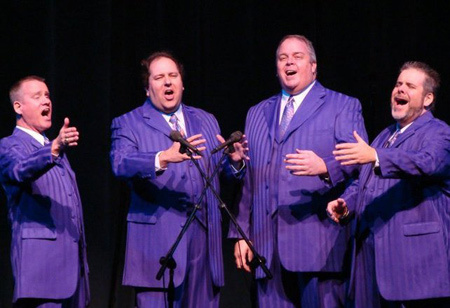 They also coach other quartets and choruses and serve as clinicians for teaching others about the performance of barbershop music. Based in Cedar Rapids Iowa, Sunday Afternoon's (SA) distinguished sound comes from the diversity of each member of the band. We strive to perform high energy, family friendly shows and we pride ourselves in our ability to incorporate a wide variety of music genres into all performances, including but not limited to: pop, R&B, rock, techno and even a little country. SA has performed for hundreds of people at various state fairs, ball games, wine tastings, and concerts in Iowa as well as Illinois, Missouri, North Carolina, and Virginia. We aim for everyone to leave our performances satisfied. Coast Youth Choir features talented young singers who are thrilled to have this opportunity to perform at the Harmony Sweepstakes! The group rehearses at Coast Music Conservatory and this is their first a cappella performance. They are very excited to perform for you! 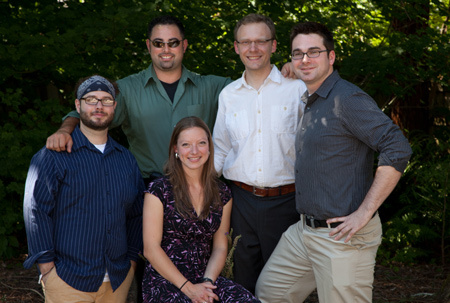 Although this quartet has only been together a little over a year, the members of the group have decades of quartet experience. 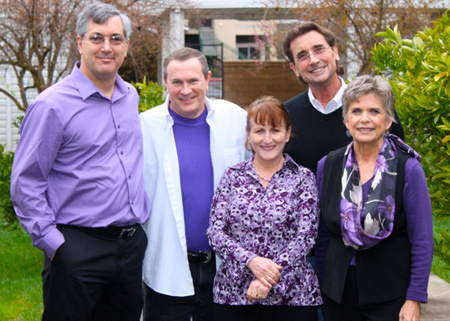 In October of 2011, they competed against 25 other quartets from the Evergreen District & ultimately won the contest holding the highest scores in all three judging categories of Music, Singing and Presentation. Simply Put is a Los Angeles-based cappella group that, less than one year from its inception, has created an entire original repertoire, performed huge live shows to standing ovations, recorded and released a full-length album, and been praised by critics and a cappella fanatics as “a diamond in the rough.” Singing everything from jazz standards to pop and rock, Simply Put infuses each of their songs with a uniquely simple, yet highly musical texture which supports soulful leads and celebrates both the power and simplicity of the human voice. Individually, the six energetic vocalists that comprise Simply Put bring seasoned backgrounds to the group and have performed at the Staples Center, Disney Concert Hall, Lincoln Center, the Kennedy Center, the Shrine Auditorium, and Carnegie Hall. Simply Put brings vibrancy and love to every performance, and they hope to share this positive energy with the audience. 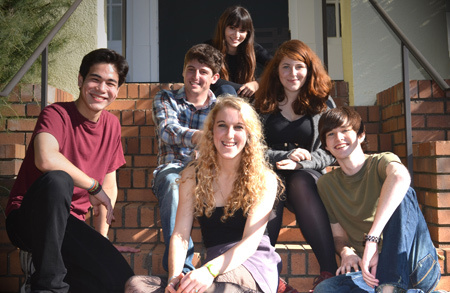 Storeytime - is an upbeat, versatile vocal group featuring five talented singers including the incredible Patrick Storey. Patrick was born with autism and a great gift for music. He is an incredible musician who thrills and inspires audiences. 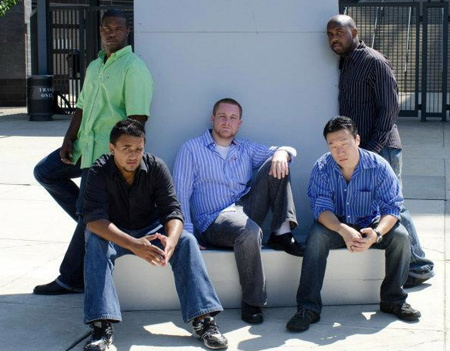 The group was founded in 2009, and they have since performed at various clubs and events throughout the Los Angeles area. Storeytime is honored to be part of the Harmony Sweepstakes this year! 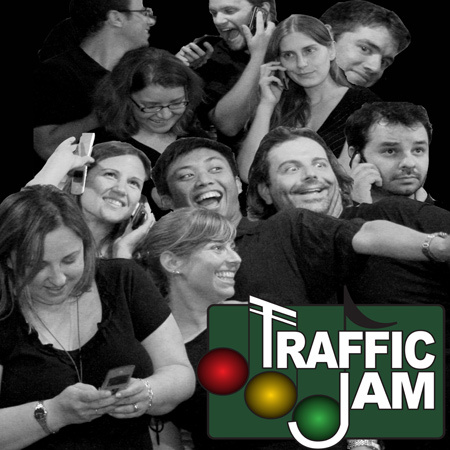 Traffic Jam - drives all over Southern California to perform for you at county fairs, farmers markets, festivals, competitions, coffee shops, open mic nights, holiday parties, and private functions. TJ's out-of-the-box arrangements and chill attitude make every show fascinating, fun, and always worth the drive. 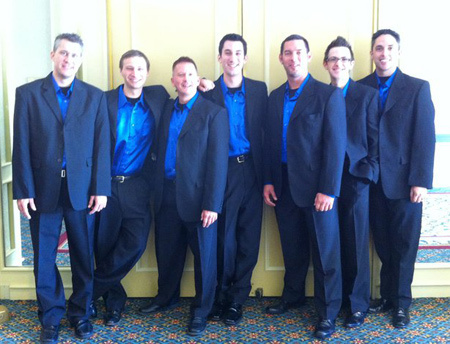 The award-winning Velvetones include some of San Diego's finest singers, creating our unique and smooth a cappella sound. From classic rock to classical, motown to jazz, we sing it all. 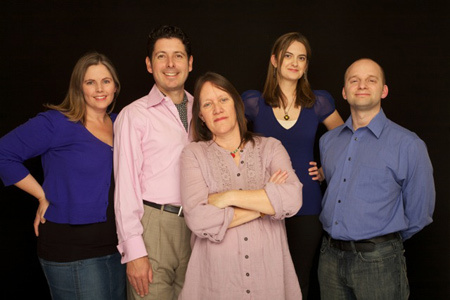 With diverse experience in songwriting, musical theater, opera, early music, graphic design, business, and architecture, each performer brings their own talent and fresh perspective to this group. Our voices come together to create a stirring, rich, and soulful sound that is undeniably our own... and we are not your grandpa's a cappella! Epic formed when two barbershop a cappella harmony singers, a jazz singer and an opera singer found they discovered a common love of ringing chords, fun rehearsals and fantastic shoes. 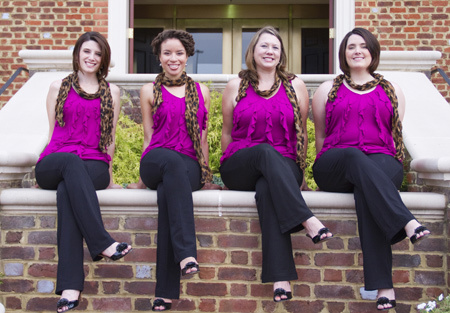 The foursome hails from Virginia and Maryland and is proudly affiliated with the Harmony, Inc., a premier international organization of women barbershop harmony singers. 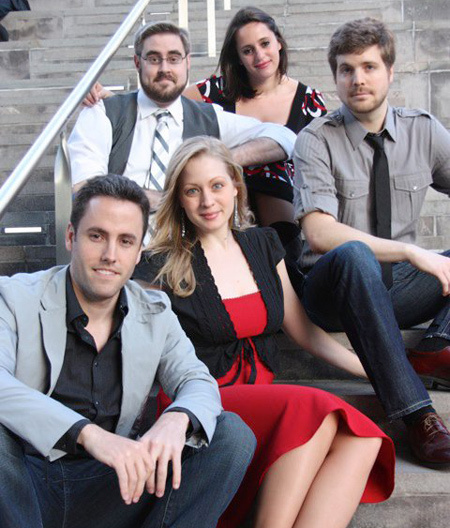 Epic is a vibrant quartet filled with an impressive blend musical and life experiences. We are Faithful, a group of singers meeting the challenge of working together in spite of living in two different parts of the country. We come from both Richmond, VA and the Washington, DC metropolitan areas. We are members of diverse churches and spiritual persuasions. In our number are several composers, arrangers, lyricists and instrumentalists, and we sing gospel music with a jazz influence, endeavoring to minister to the hearts and minds of all kinds of people. It is our desire to exhibit a level of excellence in leadership which will serve as an example to young aspiring singers in our churches and communities, and as a part of our legacy we hope to release a CD in the near future. Glorious has been together since 1997. During this time we have become a group of tight knit, polished and professional performers. Our unique A Cappella style leaves very little room for imperfections in our sound. Drawing from our individual spiritual backgrounds, and combining tried and true spirituals with an upbeat tempo. We create a unique listening experience. Worship, Punctuality and Professionalism are the cornerstones to our organization. 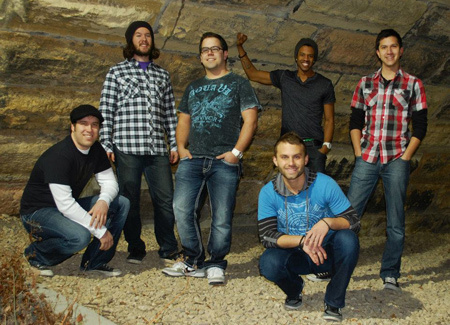 A brand new group of a cappella veterans, KeyStone strives to present innovative, original arrangements of pop and rock tunes both familiar and obscure. 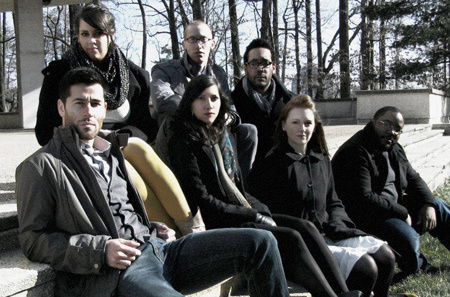 Based in southeastern Pennsylvania, the group is comprised of current and former members of The A Cappella Project – Philadelphia. KeyStone has recently begun recording their first album. 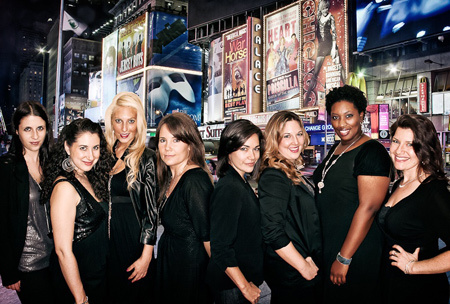 Loose Interpretations is an all female contemporary a cappella group, who proudly call New York City home. 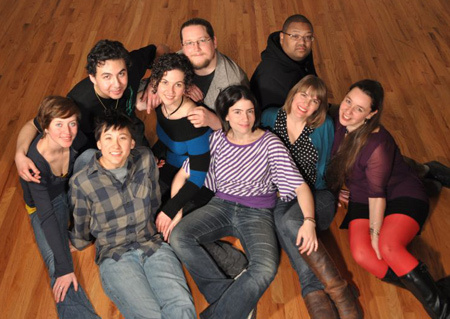 The group was originally formed by several recent college grads who craved the fun and excitement of college a cappella, and Loose Interpretations was born. They pride ourselves on how they've grown over the years from performing in parks wherever they could find an audience, to selling out amazing venues like Arlene's Grocery, Cafe Wha?, Don't Tell Mama, Crash Mansion, and even performing at the Metropolitan Opera House. 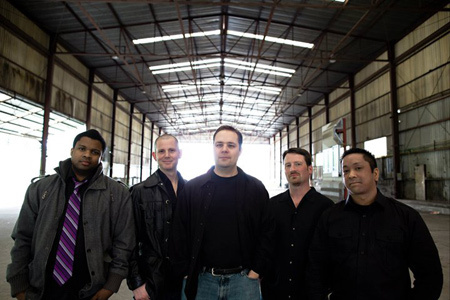 Loose Interpretations performs everything from 80's pop, to the Beatles, country, and rock, and have several members who keep their repertoire constantly growing with amazing original arrangements (winning best original arrangement last year at the Birchmere!). They keep it simple by recording their tracks live, keeping the focus on the voices, with no extras...just the way they like it. 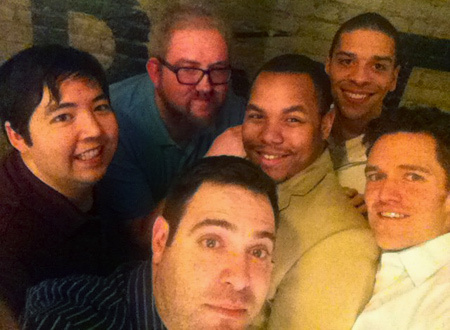 TBD is the contemporary a cappella subgroup of the Alexandria Harmonizers Barbershop Chorus. Formed by alums of many collegiate a cappella groups to sing more popular music as part of the Harmonizers, TBD also is also involved with the Harmonizers Youth Harmony Outreach Program getting younger generations excited about singing a cappella music in their school and community. Jazz Affair is a combination of six unique voices resulting in a colorful and dynamic sound. Members of the group hail from Quebec City and Montreal Canada. They met each other in 2009, while studying music at University. Since then, they have worked together, producing shows and participating in various events in Quebec. Jazz Affair sings an assortment of Jazz, Pop, and French songs. The group arranges most of the pieces they perform and the pleasure and fun the have when singing is - in their words - contagious.... Be warned! 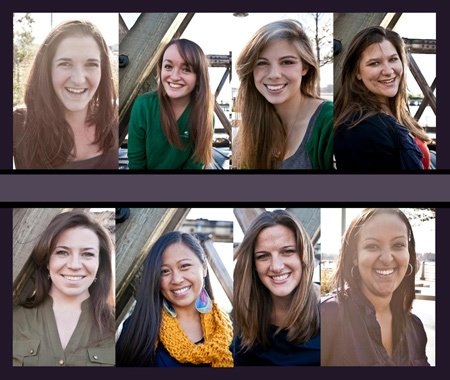 Empire was launched in September 2010, bringing powerful all-female a cappella to New York City and beyond! 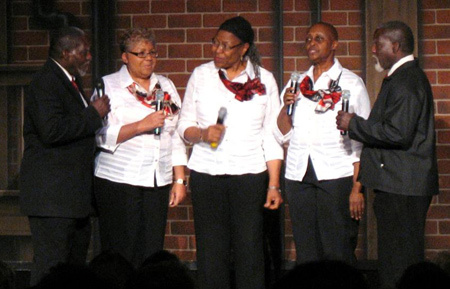 In addition to local performances, they have toured the US, participated in the Harmony Sweepstakes competition, VoCAL Nation, auditioned for NBC's The Sing-Off, and headlined a major fundraising event. Empire has garnered a large fan base throughout the Northeast, stretching out to small towns in Iowa, and as far as California. 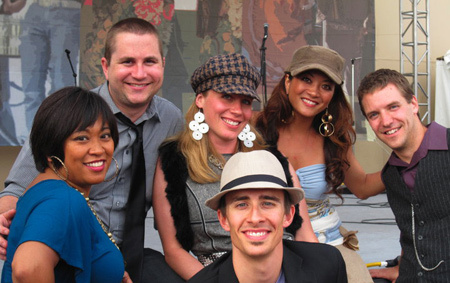 "The Barkers" were formed in 2011 with the idea of singing the music of the longest running game show and putting it on "Youtube". Truth is, that was just an excuse to get old friends together to write & perform some cool charts. What could be more fun! Cerise is a new a cappella group composed of four femmes who found each other while gigging with the New York Philharmonic. We sing everything from classical to jazz and are happy to perform a cappella or with accompaniment.If you're from the future, you're familliar with our multi-platinum albums. If you're from the present, you've seen us on the Onion News Network, on Live From Lincoln Center, and possibly at the gym. Cerise has just been booked to sing the National Anthem at the NY Knicks game on April 17 and are stoked to be making their Harmony Sweepstakes debut! 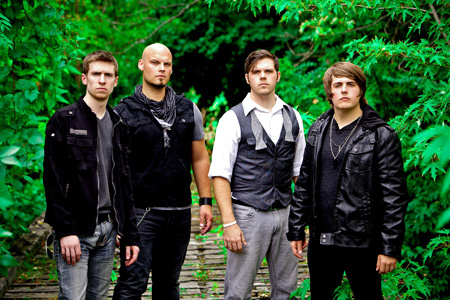 The Perspective is a five-man vocal band, blending Pop, Rock and R&B on a daily basis, with absolutely no instruments. 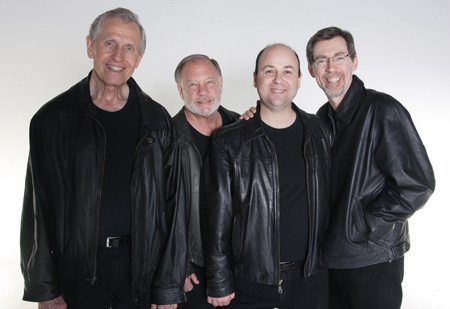 Bringing together the best traditions of the five-man sound, THE PERSPECTIVE builds a bridge from the classic sounds of the 50's and 60's to the modern era of rock and R&B. Formed in 2009, and proud to call New York City our home, THE PERSPECTIVE has performed at listening rooms around New York City including the legendary Bitter End, the National Underground, and Millesime Salon at the luxurious Carlton, NYC. We are stoked to make our debut at the Harmony Sweepstakes Competition! . Members: Damon Maida, Jack Holahan, Doug Paulson, Joe Dunham, Aaron "AB" Belinfanti. 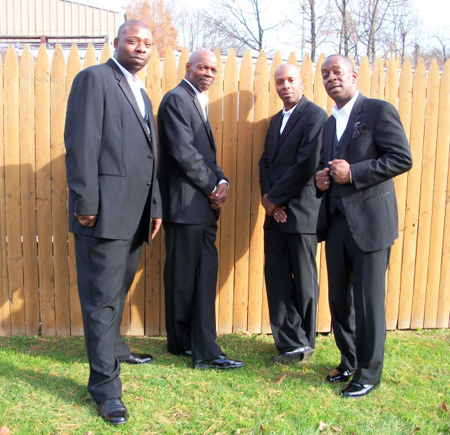 Revive is a five member male A Capella group originating in Philadelphia PA, the city of brotherly love and sisterly affection. The group has been singing and writing songs together for the past year. their niche in music is based on the R&B groups of the 90s,, such as Boys II Men and Dru Hill, where timeless music was created; and as their name suggests, they are here to 'Revive' the legacy, and beyond. They have the diversity of our melting pot country; and they harmonize beautifully, involuntarily. Revive is a group not to be missed! 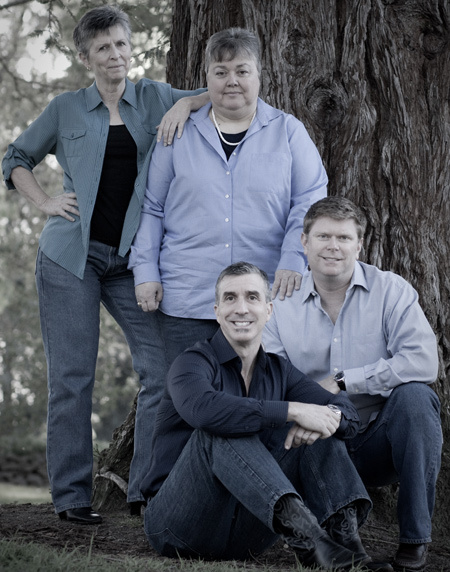 The Uptown 4 - What started out as four friends singing in their backyards has become one of the fastest-growing A Cappella quartets in the Northwest. 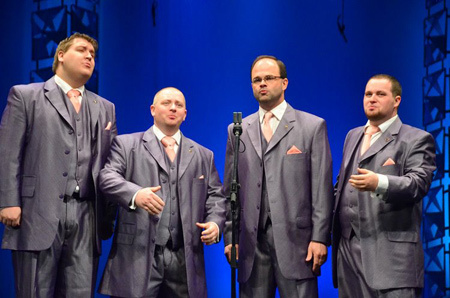 The Uptown 4, based out of Renton, Washington, has been described as "having a natural, raw quality and talent" and "one of the best quartets in a long time." The Uptown 4 is consistently working on new music, finding ways to bring unique style and personality to their arrangements. 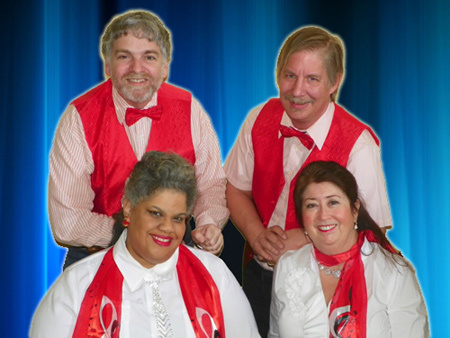 They perform an extensive repertoire of music, spanning a range of different styles from Fifties Doo-Wop and Standards to modern-day Top 40 hits. They have performed at events and venues across the country, from Seattle, Washington, to Los Angeles, California. They were even given priority auditions at NBC's "The Sing-Off" and "America's Got Talent". Springing from the rubble of groups past and rabble of friends present, these game industry vets have been singing together in various groups for over a decade. Gracing stages from the Puyallup Fair to the infamous Everett Sausage Fest, 5bit puts on the kind of infectious performance that'll have you singing a long, even after their gone. With a repertoire that includes Jazz, R&B, Funk, and even TV Themes these guys are smooth, soulful, and the best thing to come out of the 1970's since the 80's. 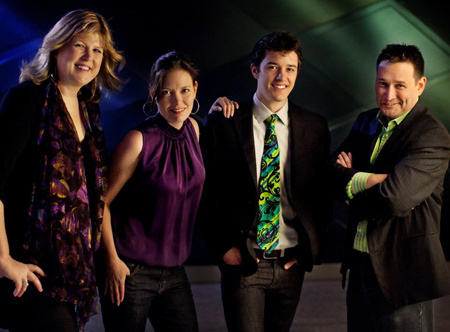 Fretless is five friends with similar taste in mixd drinks and a cappella. The four fellas in Fretless attended the University of Oregon and sang together in the all male collegiate a cappella sensation On The Rocks. After several years they found themselves up in Portland together itching to hit the stage once again. With a distinct lack of tenors, they employed Alli Magee, friend and fellow connoisseur of harmony to complete the five-person ensemble. 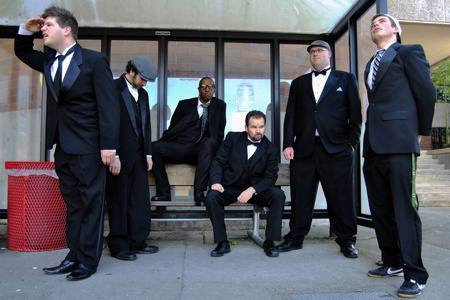 Fretless is one year young and has performed everywhere from the street corner to The Alberta Rose Theater with a cappella veterans The Coats. We are excited to continue on our path of melody and mixology and hope to have the opportunity to engage the audience at this years Harmony Sweepstakes. 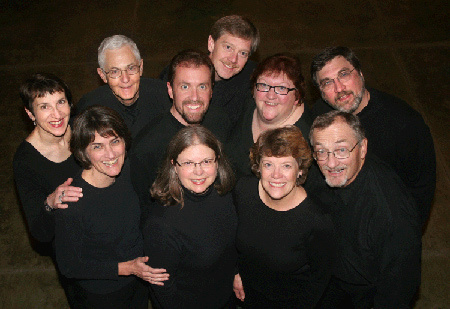 The Wild Rose Chorale is celebrating twenty years of great a cappella music. Though our membership has changed over the years, our goals have not: we strive to bring the highest quality vocal music to audiences of all ages Our repertoire includes lush jazz arrangements, traditional and show tunes and the occasional novelty number. If "a cappella" is our first name, "entertainment" is our second name.. Audiences come back again and again because they have so much fun watching us have fun! Wild Rose is a diverse group of singers whose interests and careers include computer consultant, health professional, dental hygienist, band director, newspaper writer, piano teacher, biofeedback specialist, minister, golfer, parent and grandparent. All share a love of a cappella pop and jazz vocal music.